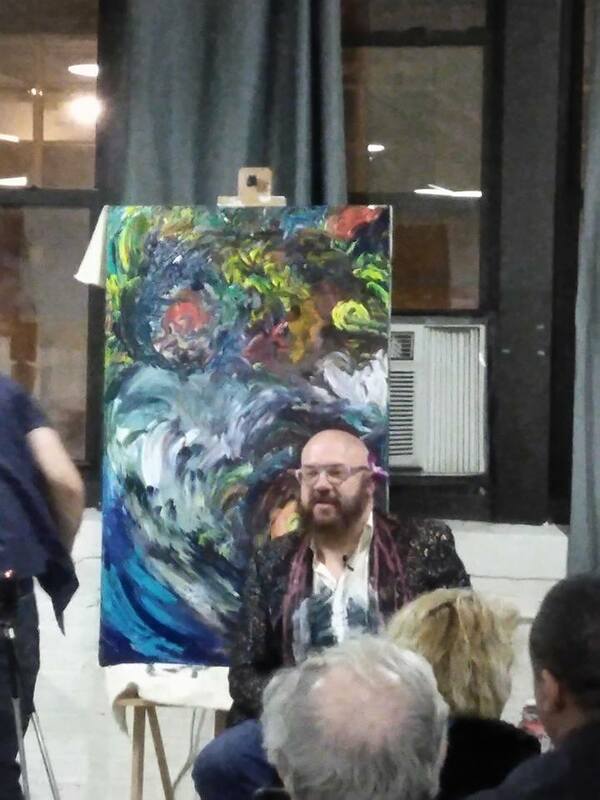 We were truly humbled to have another speaking & art event at the Awakening Foundation in Ravenswood. The event was well attended and we are so thankful to all those who showed up to support our cause and to view what we had in store with our initiative. As mentioned previously, writer Derek Hopkins (Co-Founder of Childhood Fractured) is authoring a full length book to document the creative process & stories told by Chicago artist Allen Vandever (Founder of Childhood Fractured). The Awakenings Foundation and Childhood Fractured invite you to join us for a collaborative next four events of the six-part live painting series called “Childhood Fractured: A Live Narrative,” that tells the story of childhood sexual abuse from the male perspective the last Friday of the next five . “Childhood Fractured: A Live Narrative” First event of its kind hosted at Awakenings, was thrilled to feature and normalize male voices that are so often silenced in the conversation about sexual violence. He narrated his experience, Hopkins writes and types wile Manaligod films. The event was a huge success peformade to a full house. 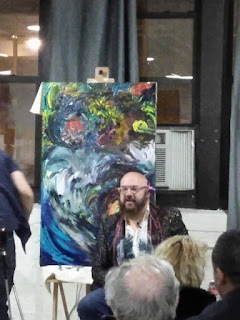 The written anthology and videos will all be available online following the live painting event. 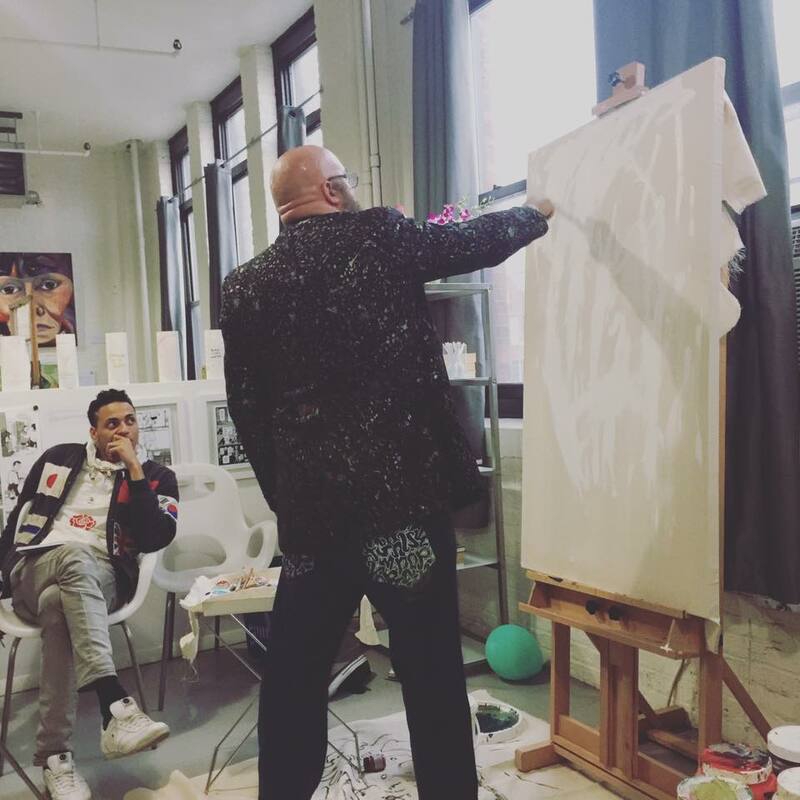 The live painting events will take place once a month from March to August. 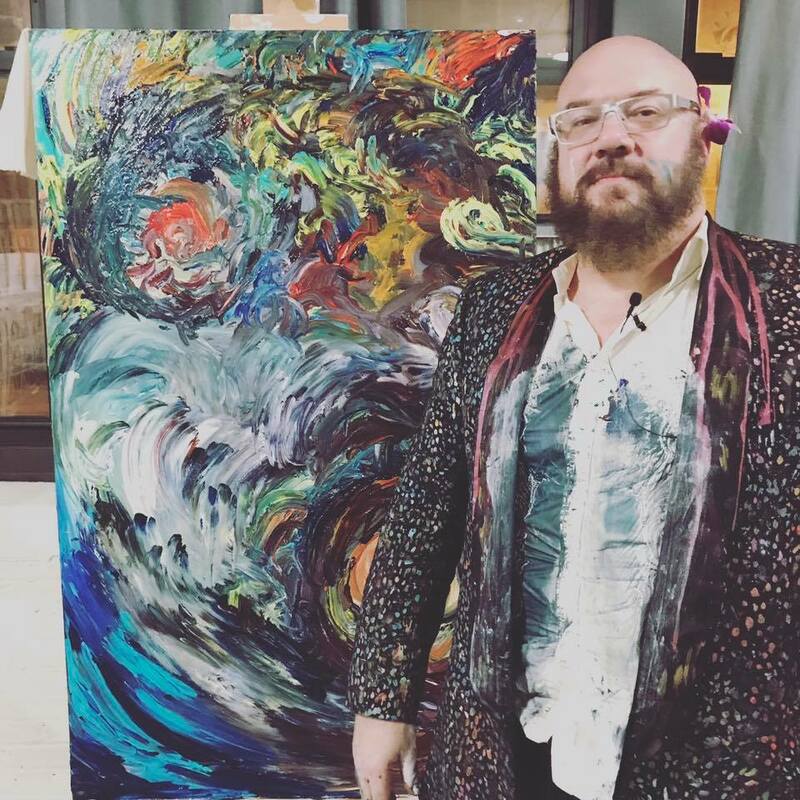 Vandever painted through the trauma of his childhood sexual abuse. 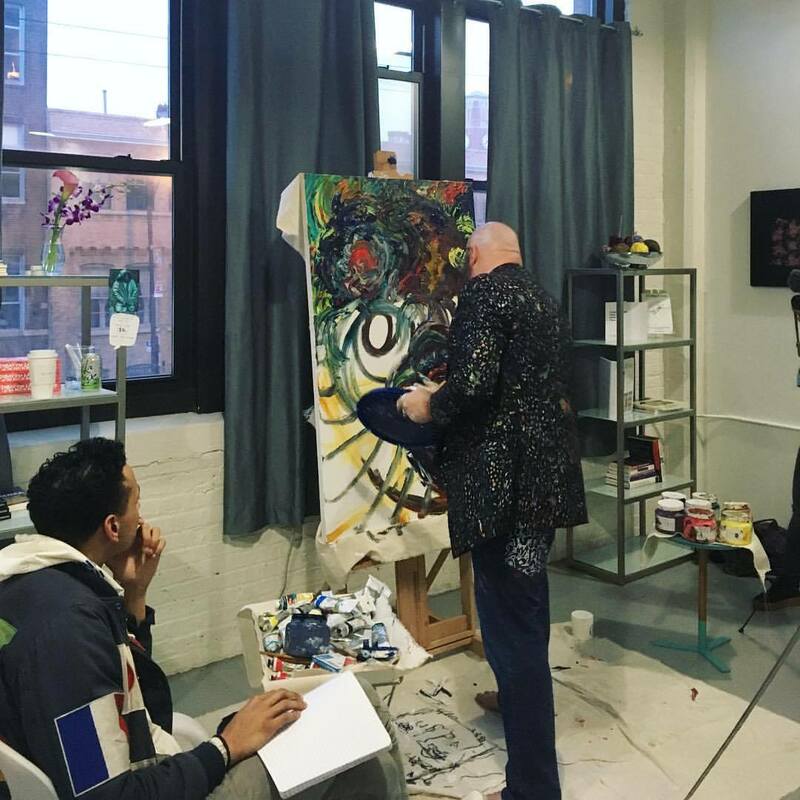 A six-painting exhibit will hang at the Awakenings gallery upon completion of the event series in September 2017.